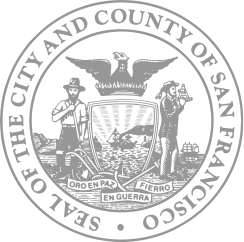 The Environmental Planning division reviews projects for potential environmental impacts on the City of San Francisco and its residents, a process known as environmental review. Reviews are conducted pursuant to the California Environmental Quality Act (CEQA) and Chapter 31 of the San Francisco Administrative Code, which provides guidelines for implementing the CEQA process. The reviews identify any potential adverse environmental effects of proposed actions, assesses their significance, and proposes measures to eliminate or mitigate significant impacts. Most development, infrastructure and transportation projects, proposed regulatory changes, and permitting applications are subject to the environmental review process. The environmental review process provides decision-makers and the general public with an objective analysis of the immediate and long-range specific and cumulative impacts of a proposed project on its surrounding physical environment. A list of useful documents and websites to aid you in your preparation of environmental review analysis documents, including information on the Environmental Planning consultant pool, CEQA and technical analysis guidelines, document templates and forms, and general CEQA information.